The La Casies Mountain Living Hotel, our hotel in South Tyrol with swimming pool, has a wonderful spa area that also includes a 15 m by 5 m large heated panoramic indoor pool. It is filled with Grander Water, which caresses the skin and is very beneficial. 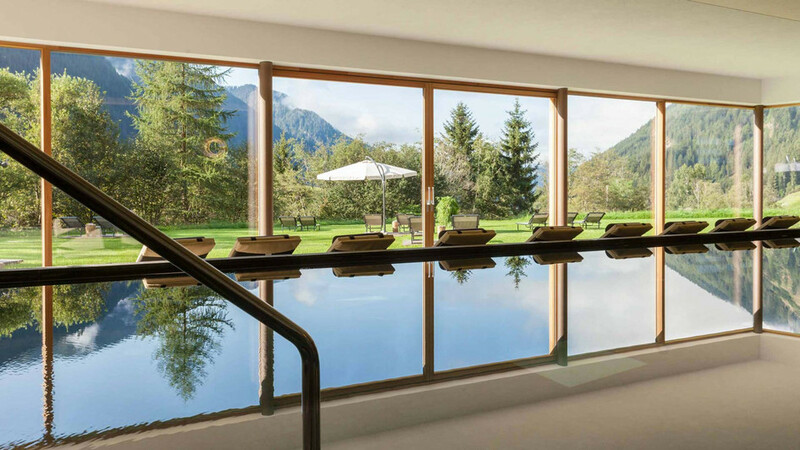 The pool's large glass fronts and clear lines ensure a bright and friendly atmosphere and you can gaze over Valle di Casies / Gsiesertal while swimming. 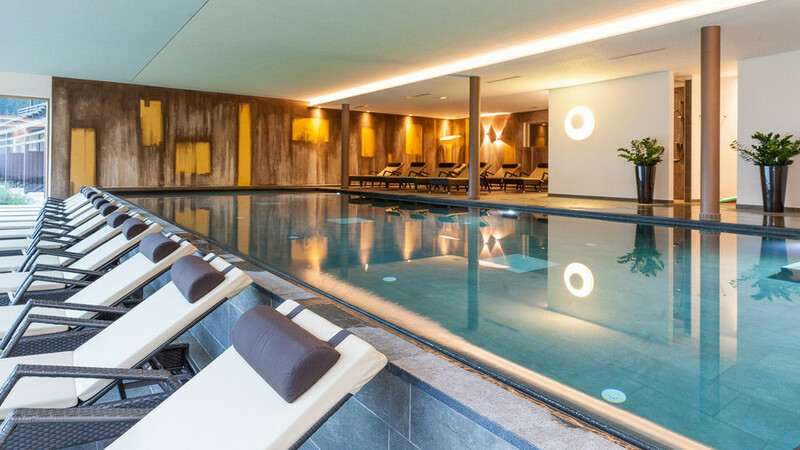 Endless wellbeing and deep relaxation set in at our hotel in South Tyrol. A warm, wonderful wellness oasis was created with the indoor pool and sauna complex where you can forget all about your everyday life. 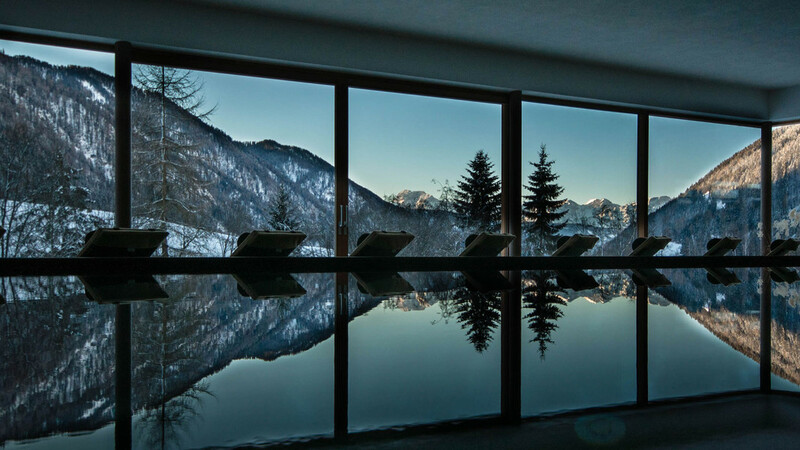 Here in the panoramic pool with views over the Dolomites you focus on the wonderful things in life and find your inner peace again after an active day outdoors and feel balanced and happy all round. 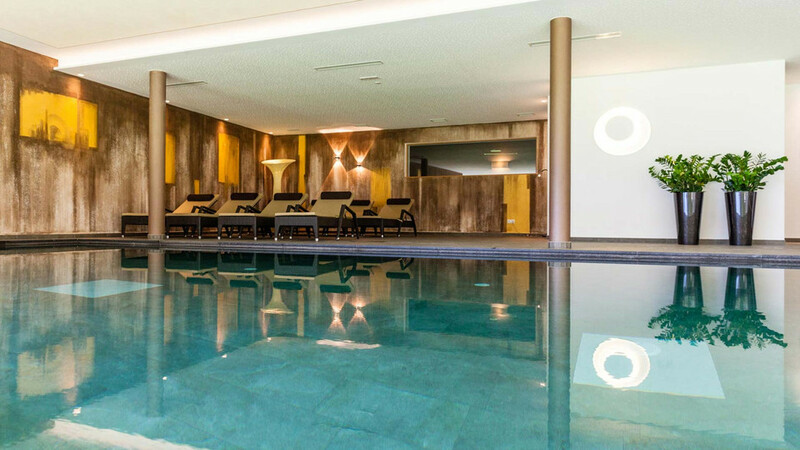 For a perfect, beneficial holiday close to nature, a hotel in South Tyrol must have an indoor pool, comfortable rooms and suites, outstanding cuisine and attentive service – our Hotel La Casies has all of that and more.